In what may have been an effort to divert focus away from the Syrian government's ongoing offensive against the remaining Islamic State pocket in the Yarmouk Basin in southwest Deraa province, Islamic State fighters based in the Suwayda' desert launched attacks against Druze villages in the eastern Suwayda' countryside in addition to suicide bombings targeting Suwayda' city. The Islamic State's attacks in Suwayda' have proven to be bloody, killing hundreds of people. Note for context that Suwayda' province's population is primarily Druze. To discuss the Suwayda' attacks further, I interviewed Abbas Abu Shaheen of the group Katibat Jalamid 'Urman, which is part of the loyalist-leaning Liwa al-Jabal conglomeration of Suwayda' factions. Liwa al-Jabal has participated in the fight to repel the Islamic State attacks in Suwayda' province. This interview was conducted on the afternoon of 27 July 2018. Any explanations of terms and important place references are in square brackets. Some of the questions and answers have been reordered for clarity. Q: Can you describe the Da'eshi [Islamic State] attack on the eastern villages in Suwayda' countryside and Suwayda' city? From where did the terrorists come and how did they attack the eastern villages and the city? A: First, good afternoon. The terrorist attack began at 4:00 a.m. sharp while the people were sleeping from the eastern front. They [the Islamic State operatives] most likely are what remains of the terrorists of al-Hajar al-Aswad [suburb of south Damascus that was controlled by Islamic State] who were transferred to the Suwayda' badiya [desert] and coordinated with the Tanf base and entered the villages of al-Shabaki and Rami and al-Ghayda. Simultaneously, there were three suicide explosions in Suwayda' city. They called on the people by their names and they were killed by gunshot. The rest woke up and the battle began as reinforcements arrived from the neighbouring villages, while the terrorists had put in place snipers who targeted all who were around trying to provide aid to the wounded. With the completion of reinforcements from all of the Jabal [Jabal al-Arab/Jabal al-Druze: Suwayda'], Jaramana and Jabal al-Sheikh, aircraft intervened and bombed their [Islamic State] reinforcement lines. All the attackers were annihilated and killed. Q: Until now how many martyrs are there from the civilians in total because of the Da'eshi attack? It is said that the terrorists slaughtered entire families in the eastern villages. Is this true? A: Entire families were martyred as they were killed. The number of martyrs is 260, 90% of whom are civilians. Q: Liwa al-Jabal participated in the operations against the Dawa'esh [Islamic State fighters] right? A: Yes. Katibat Jalamid Urman is part of Liwa al-Jabal and from it was martyred the heroic commander Sheikh Abu Mu'annis Nabil Saymu'a. In addition, all of al-Zaghaba, al-Basha, Ammar bin Yasir and a portion of those who were in the al-Suqur faction participated. Sheikh Abu Mu'annis, originally from 'Urman, was killed in the fighting against the Islamic State. 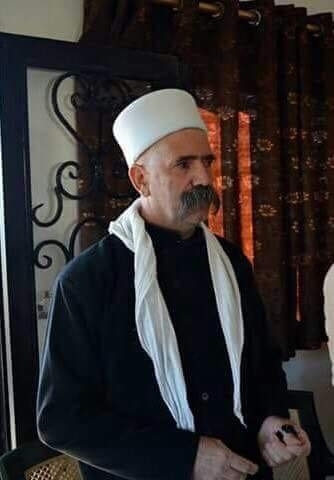 Q: Did the Rijal al-Karama movement ['third-way' Druze movement in the province] and Nusur al-Zawba'a [armed wing of the Beirut-based SSNP] participate in the operations? A: Yes, all the factions of Rijal al-Karama and Nusur al-Zawba'a and the Syrian Nationalist Party [SSNP] participated and the battle was fierce because all the attackers had taken drugs: i.e. as though you were fighting ghosts. But they were all annihilated. Q: Did the Syrian Arab Army arrive to the fighting fronts to resist the Da'eshi attack? A: The army did not intervene in the battle at all but contingents arrived after the battle ended, putting in place some observation points. Q: Currently is there popular anger against the governor of Suwayda'? There is news that the peoples of some of the villages expelled the governor from them? Q: Today is the fighting on the fronts light? A: Today there is a mobilization state, with observation and almost constant flight by Syrian reconnaissance aircraft with the presence of contingents of the 15th division in the area. Q: Do you think that there are problems generally regarding the security situation in Suwayda'? A: We are partners of the Syrian Arab Army in fighting all the terrorists and their supporters and the situation is under control and there is no fear for a nation that has believed that the fate is set and the provision is divided.